Keeping your product safe in a warehouse can be a challenge. While you have to guard against water damage and bug infestations, you can also encounter common problems such as an overzealous forklift operator who can unintentionally damage the pallets where you store your materials. 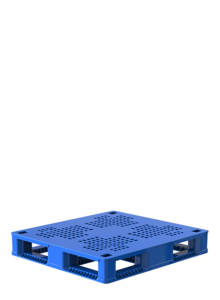 Help guard against that problem with our DLR Pallet Series. 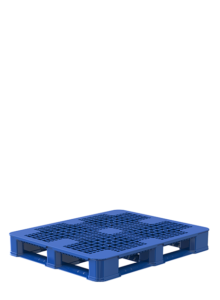 Durable plastic pallets protect against forklift, pallet jack and general impact damage. Ideal for repeat use, these sturdy pallets can cut down on the usual damage and debris you incur in a warehouse or shipping setting as well. We produce each one with telescoping double legs, which provide twice the protection against forklift damage as single-walled pallets. Like all our pallets, the DLR Pallet Series has a four-way entry for forklift and pallet jacks, making it easily accessible no matter what angle you come in at. These solid-top plastic pallets make ideal storage solutions for pharmaceutical, industrial, food and medical industries. They’ll keep your products safe and allow you to concentrate on other things to help grow your business. The double leg option in solid top will prevent spills and messes with a closed-in top that stops your loose product from falling through the open grid. Rips and tears will happen, and it’s smart to guard against them proactively with solid-top plastic pallets. Polymer Solutions International, Inc., has been a leader in the material handling business for nearly two decades. We strive to improve our storage and transportation options to help your business run more efficiently and make more money. We’ve also made a commitment to help the environment. We employ reusable packing materials to cut down on the waste that’s carted off to landfills. 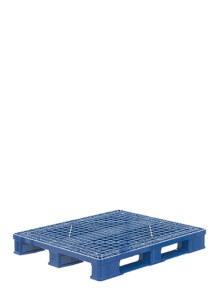 We make our pallets and stackable water bottle trays with recycled materials. 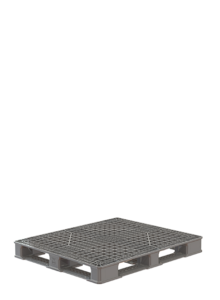 We also will help you recycle or repurpose your old trays or pallets when you no longer have a use for them. Contact PSI today about your material handling needs. We’ll help you find the best solutions to fit your requirements.